What is the PLUS Pedal? The PLUS pedal is a new kind of audio processing engine that offers piano-style sustain for electric guitars and all other melodic instruments. This is more than just a stompbox – it is a vast extension of your instrument that bridges the gap between rhythm and lead playing and lets players explore totally new territories. Create “impossible” arrangements by playing lead lines on top of sustained chords, combine up to 5 different sounds to build deep multi-layered drones or use the WET only mode to give your instrument a totally new character. 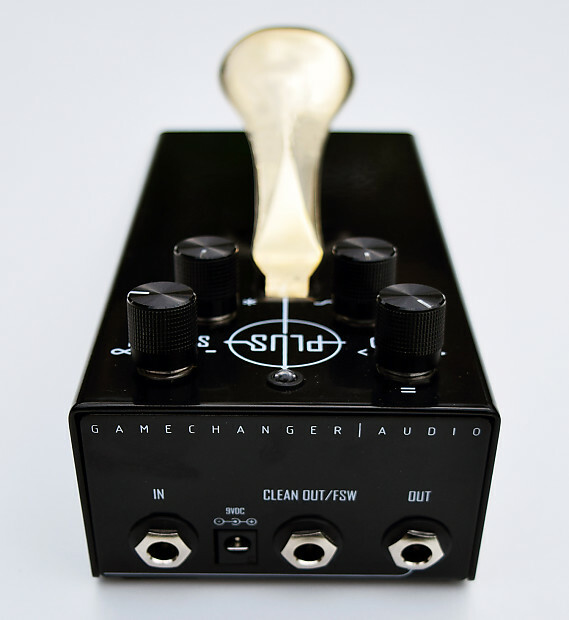 The PLUS Pedal does not generate sounds with oscillators and filters! Instead – think of it as a sort of “Smart Looper” that only catches the second half of each note or chord you play and samples that short snippet of sound into a seamless, continuous loop. This patent pending technology called “Real Time Audio Sampling” ensures that each sustained note or chord will retain the exact character of your instrument and your playing style. This method is also fully responsive to any playing style – create continuous layers of sustain incorporating vibrato, bends, harmonics, trills and other dynamic playing techniques. You can also use the whammy bar, play with a slide or experiment with amp feedback or noises – the PLUS Pedal will capture all of these tonal nuances and turn them into a continuous sound. 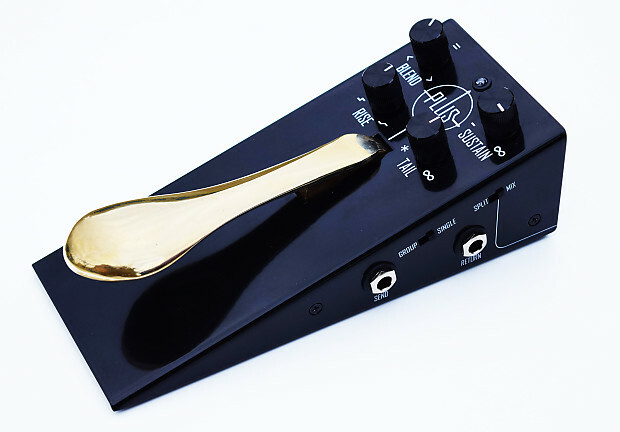 The PLUS Pedal can also be used with all other acoustic instruments, such as brass or woodwinds, or even vocals. Use a standard microphone to produce amazing polyphony in real-time and create multiple voices like never before. -Multiple layers allow stacking up to 5 notes or chords simultaneously. -Unique design – a brilliant combination of a guitar stomp-box and piano’s damper pedal. The steel case will make sure it lasts, and the classy look will make it fit on any stage, from café guitarist to rock band to jazz trio. -Two Outputs will allow you to use the PLUS with a two amplifier setup or split your effects chain. -FX Loop allows you to link the PLUS Pedal with any other effects unit and use it to modify the Wet or the Dry signal separately. The PLUS Pedal is an extension of your instrument, allowing to create multiple layers on the go. From jazz-voiceleading to heavy post-rock drones – the Plus Pedal allows the guitarist to do more with the instrument! A useful tool in any context – live performances, songwriting & arrangement, creating drones, ambient soundscapes, cinematic sound effects, and much more. It is also a fantastic tool for aural training and practicing improvisation. Instead of thinking about which scale shape fits over what changes – the PLUS Pedal focuses all of your attention on listening to the tonal relationships between the chord and the notes you play on top. -The PLUS Pedal is not a looper, nor a delay or a reverb pedal – it is a whole new type of effect based on real time sampling and looping. -unlike synth-based units – the PLUS does not produce an annoying digital-sounding tone. The PLUS Pedal’s Wet signal is built from short samples of your instrument’s output, thus preserving the character of each note you play. 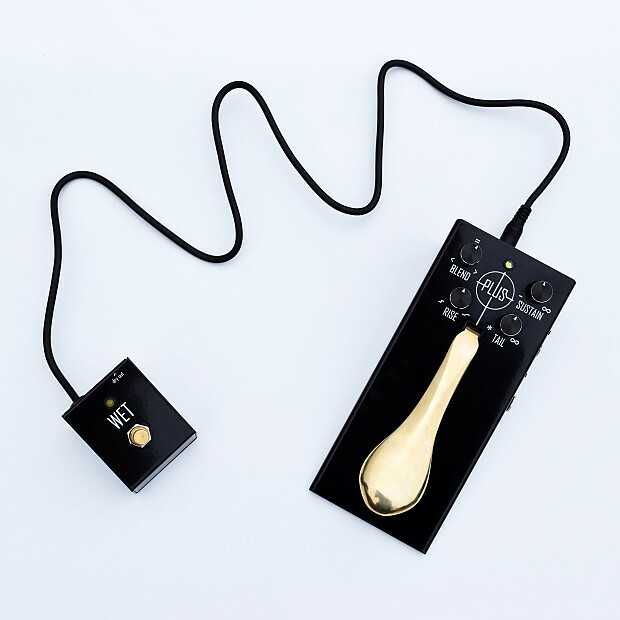 -it is not just for guitars – The PLUS Pedal can be used with any melodic instrument, including saxophones, horns, trombones, violins, cellos and many more. – The PLUS Pedal features two outputs and a separate FX Loop which lets you create very interesting combinations of pedals. The special Footswitch that gives you quick and easy access to the PLUS Pedal’s “WET only” mode. Acting as a kill-switch for your instruments DRY signal (which is useful to have on your board anyway), it lets you build huge drones and then drop your instrument back into the mix with one click! Delivery in 1 to 3 days with tracked UPS parcel. Based on purchase price of $379 at 10% APR for 12 months. Excludes tax and shipping fees, to be calculated at checkout. Rates range from 10-30% APR. Choose from 3, 6, or 12 monthly payments.